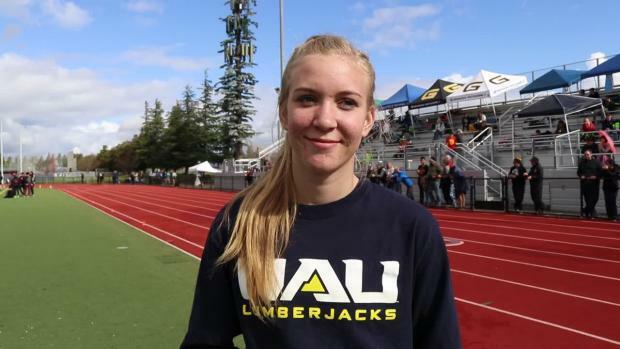 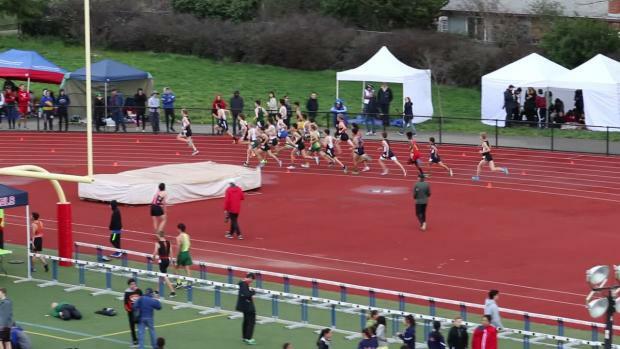 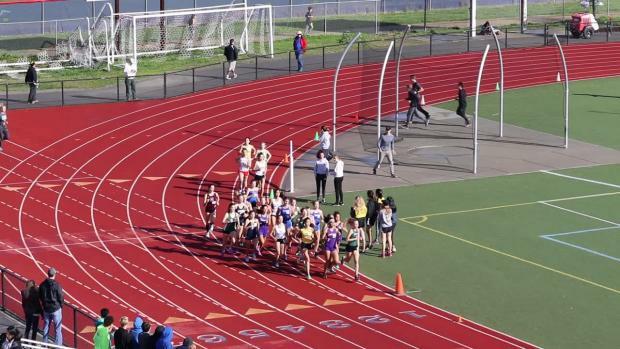 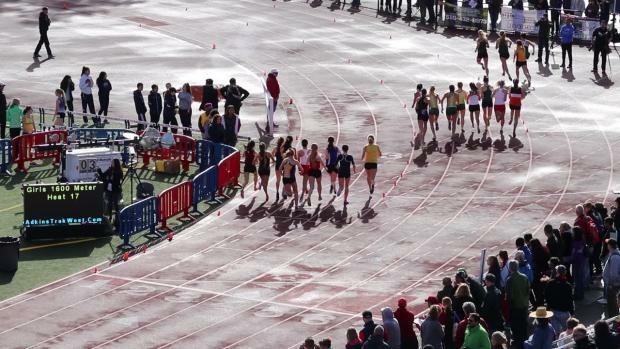 There were some very fast races and big marks across the country this past weekend, and we were there to catch them. 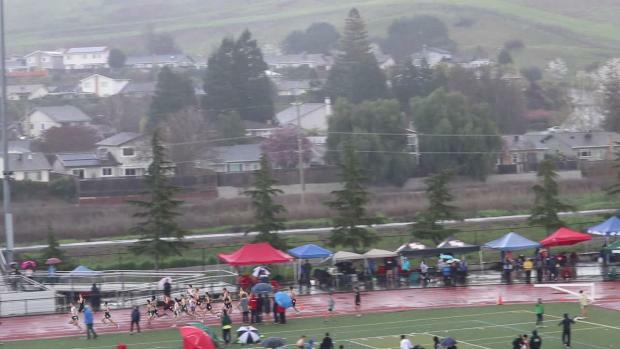 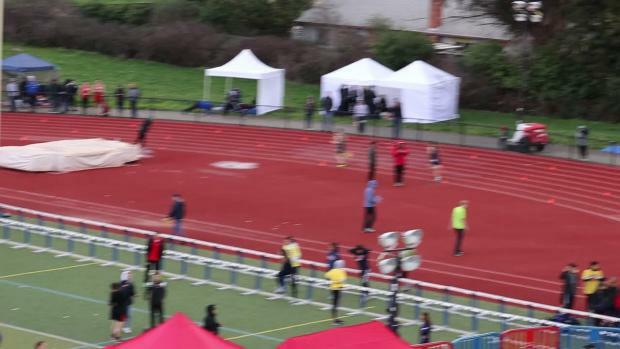 Alex Scales (Bellarmine) withstood a rabbit start by John Hagerman (Merced) to run a CA-leading 1:53.46 to win the boys 800m "Sombrero Heat" at the Dublin Distance Fiesta. 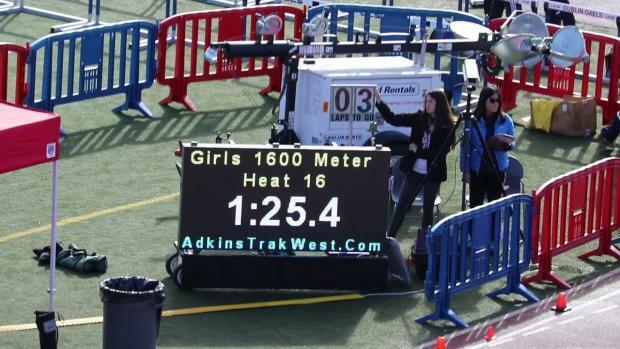 That time ranks No. 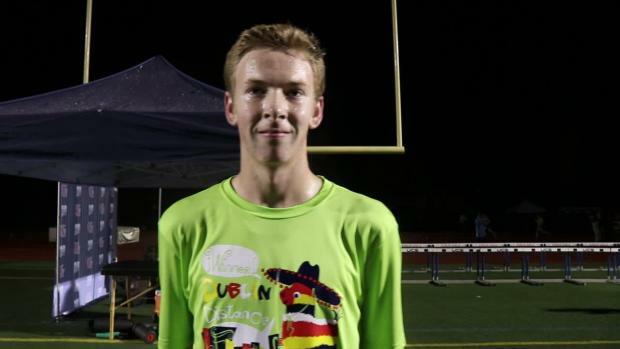 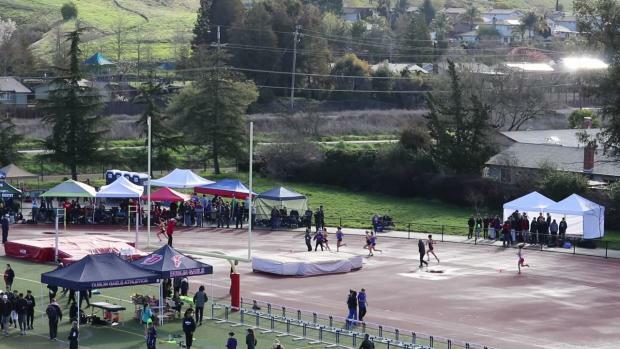 4 in the U.S.
Carlmont's Ryan Wilson had himself a day on Saturday at the Dublin Distance Fiesta, walking away with not one but TWO sombreros, the only athlete at the meet that could make such a claim. 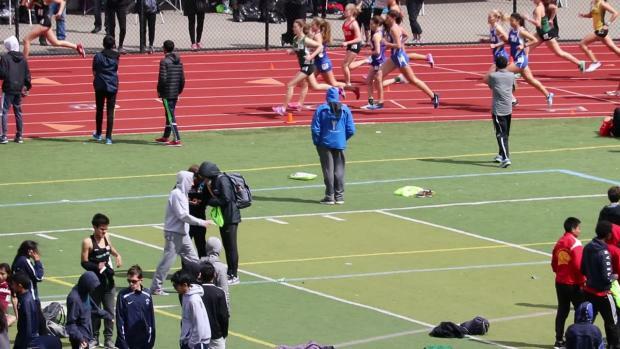 Wilson won the 1600m, although he said he didn't feel well. 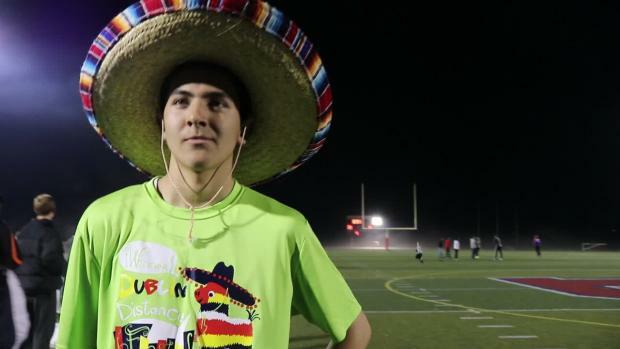 His time of 4:18.67 was the best in the fast 'Sombrero' heat, the fastest of 29 heats and 680 boys who competed in the four-lap event. 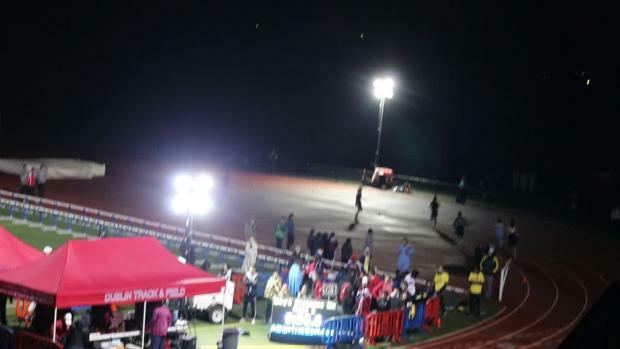 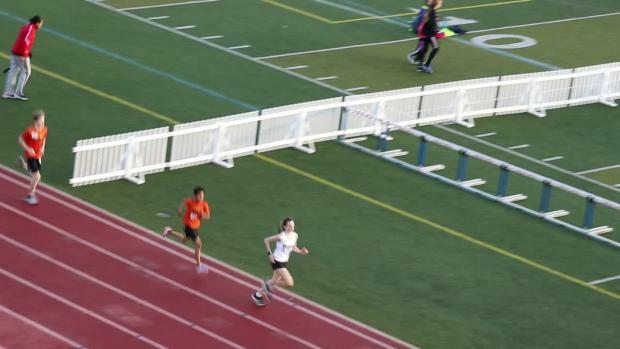 Wilson came back hours later to anchor the winning DMR team, beating both Alex Scales (Bellarmine) and Jett Charvet (Heritage) on the final leg. 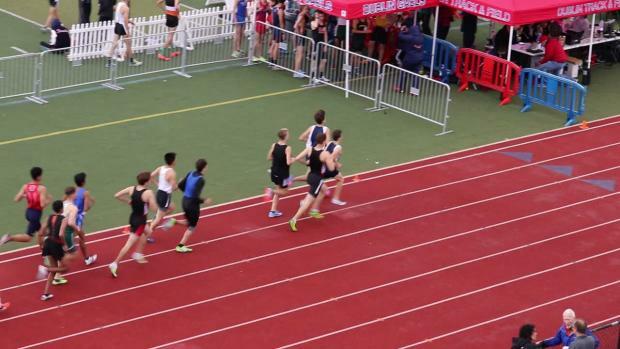 (Scales had earlier won the boys 800m.) 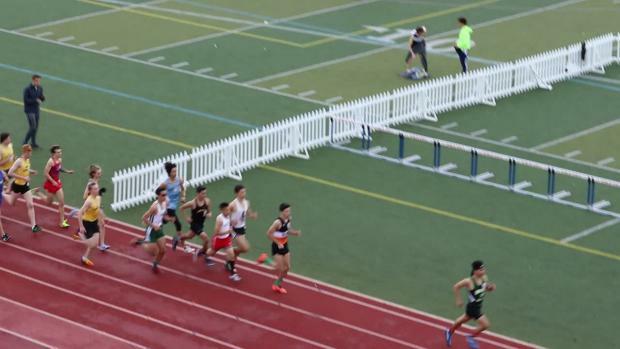 Calmont's DMR team of junior Justin Hsu, senior Tanner Anderson, sophomore Caleb Metzler and Wilson, a senior, ran 10:30.65, the best among two heats and 39 teams, and now also No. 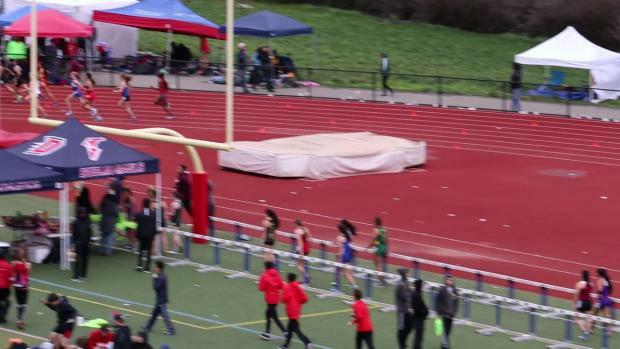 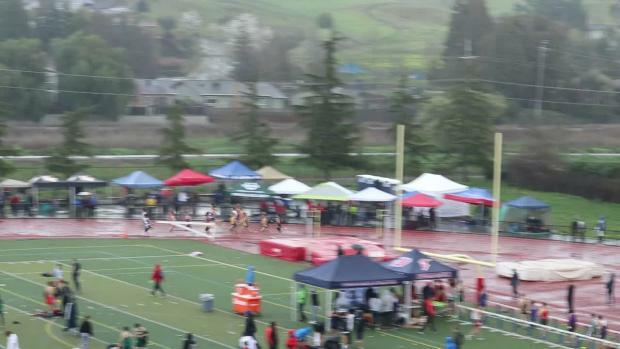 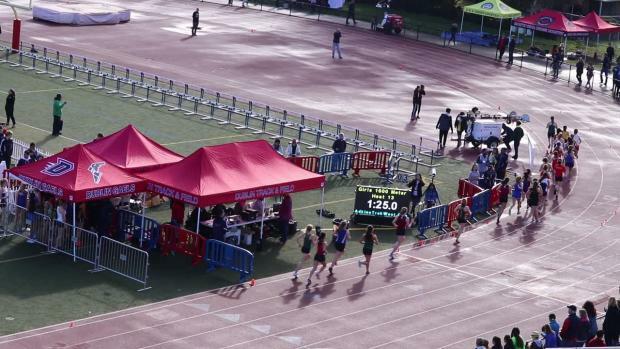 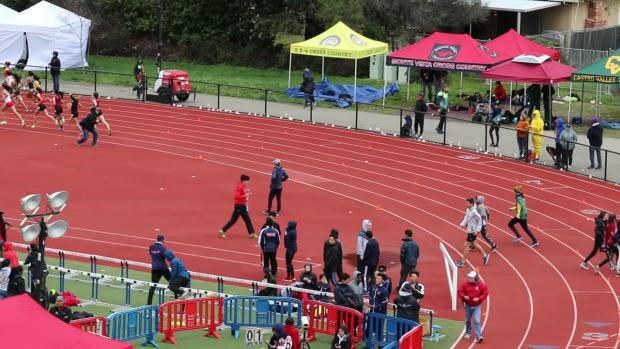 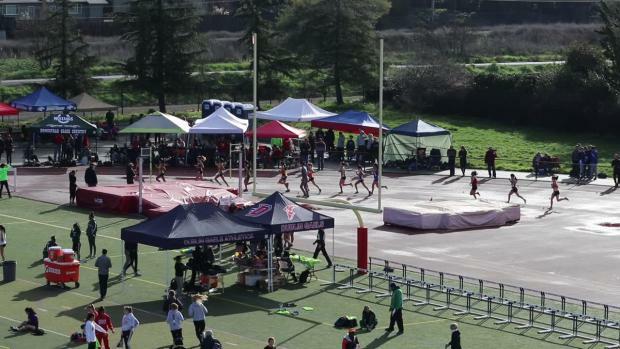 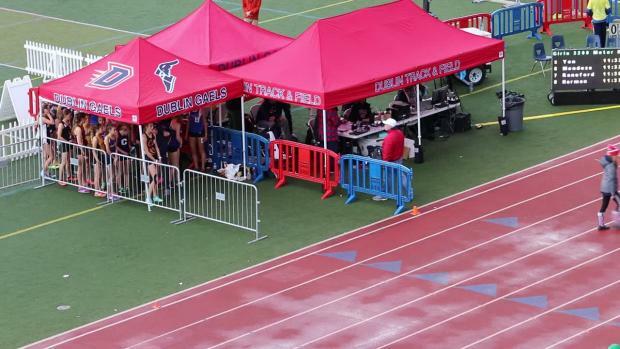 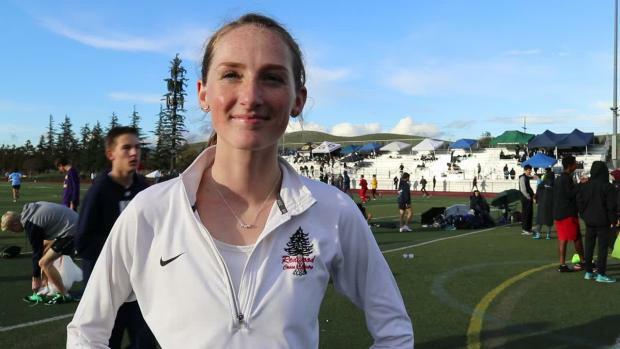 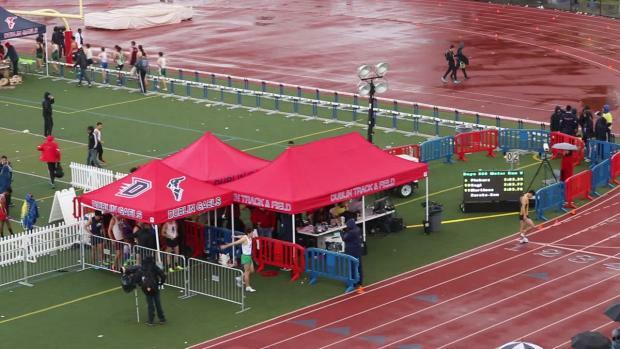 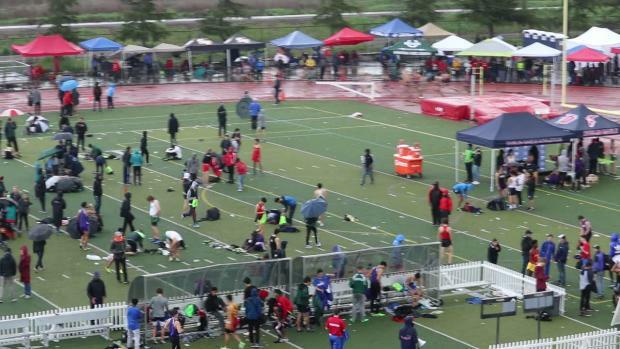 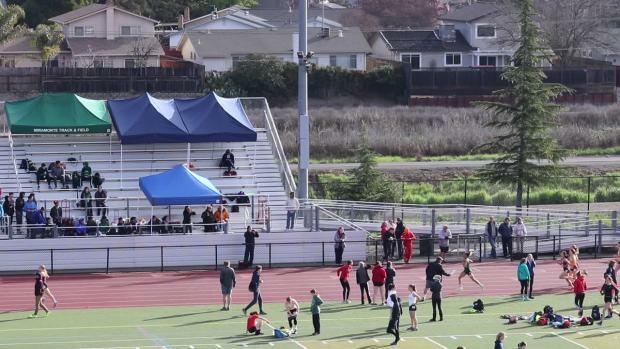 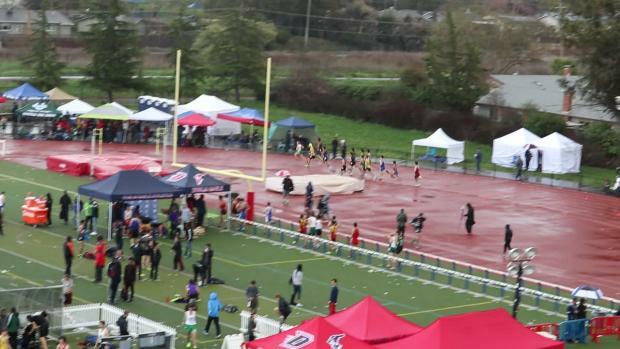 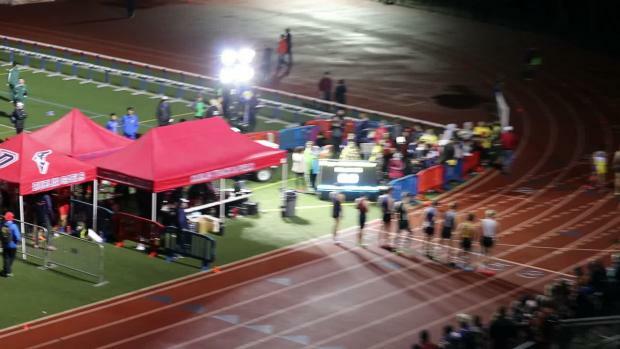 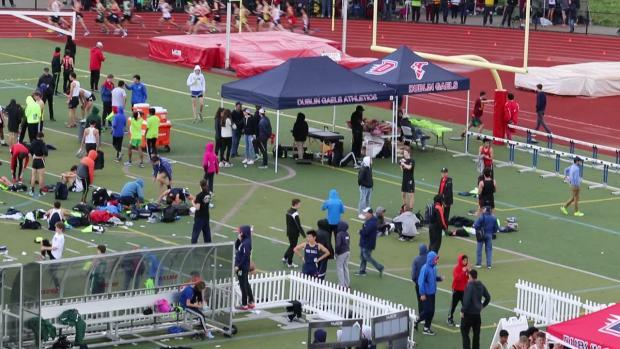 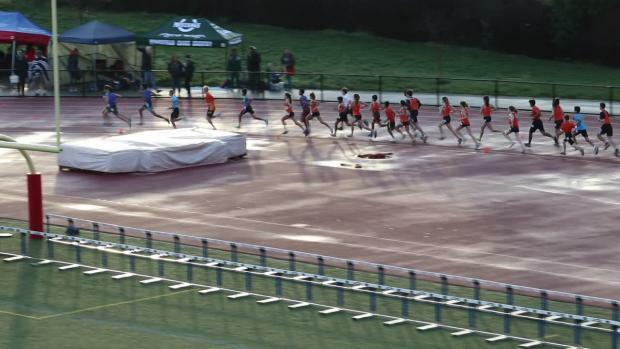 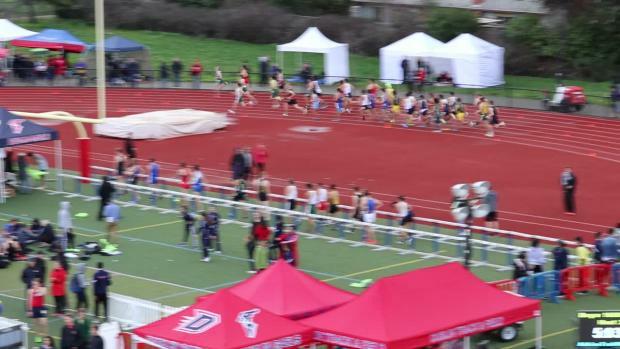 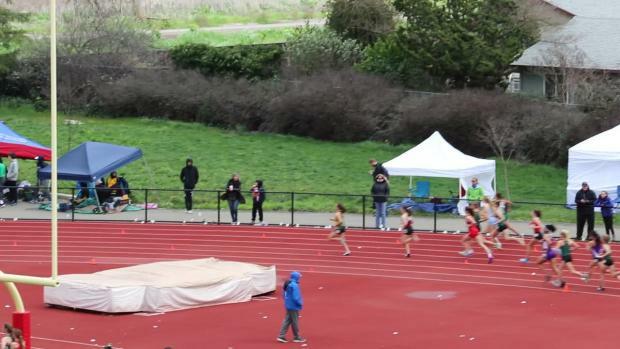 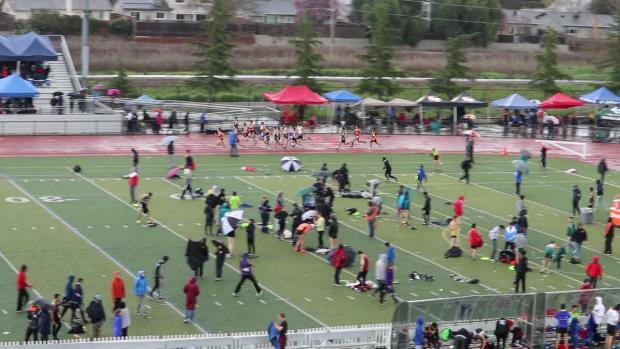 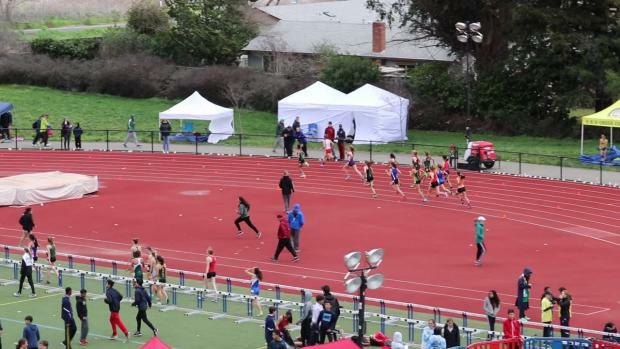 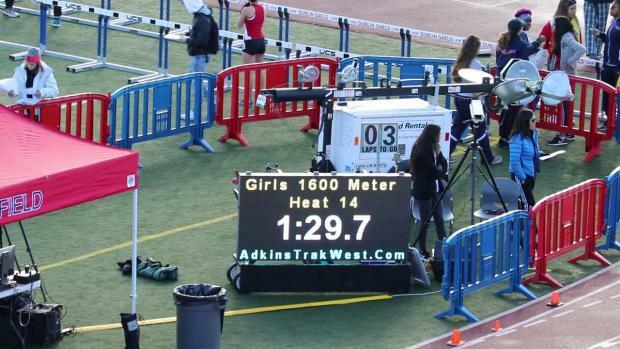 1 in CA, bettering Roosevelt's 10:33.31 mark set last week in beating Great Oak at Redondo. 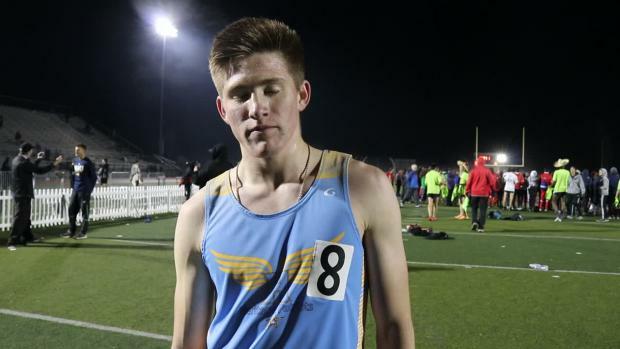 Heritage senior Jett Charvet after anchoring the school's DMR (anchor leg of 61 for 3rd place), less than a week after winning the 800m at the New Balance National Indoors at The Armory in New York. 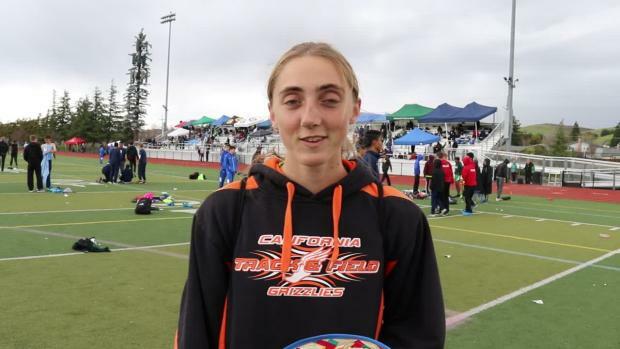 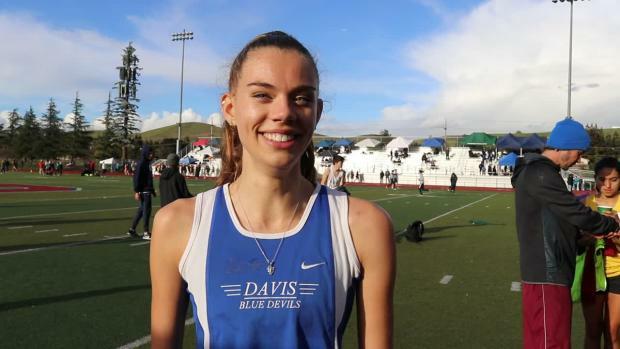 That was the second indoor title of the winter for Charvet, the defending CIF-State champion in the 800m. 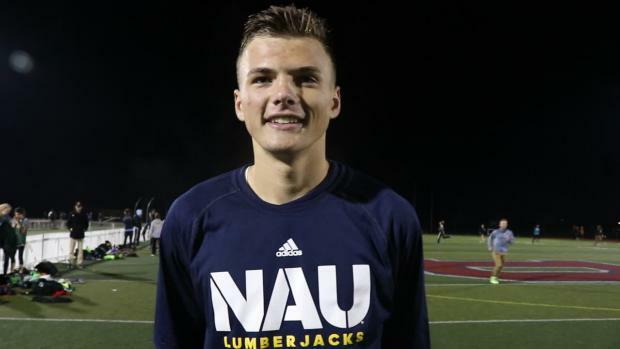 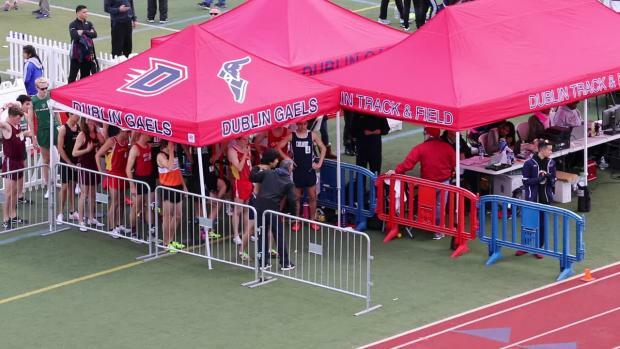 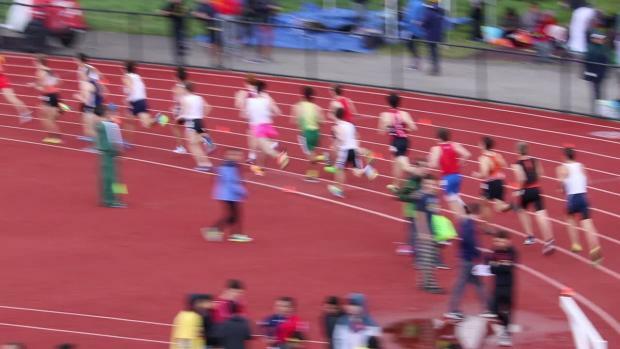 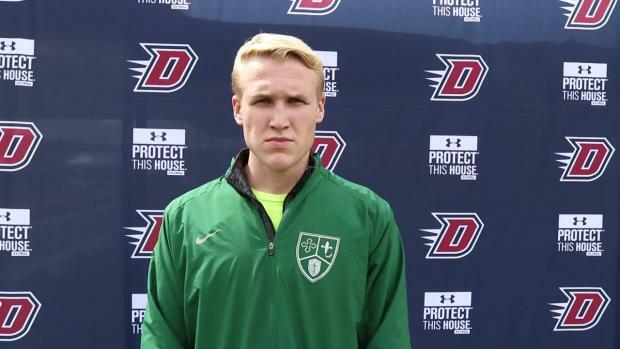 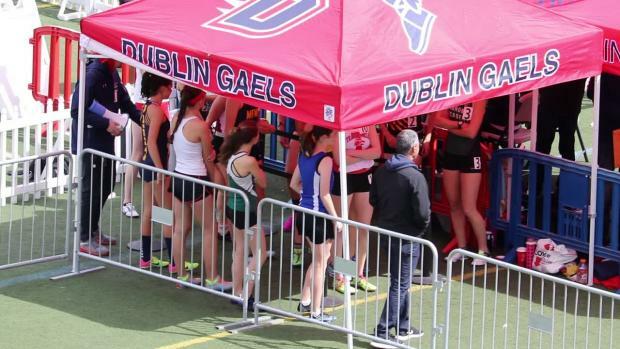 Note: Charvet was originally entered in the 800m at Dublin but he said that that was an error and that he never intended to run that race at this meet. 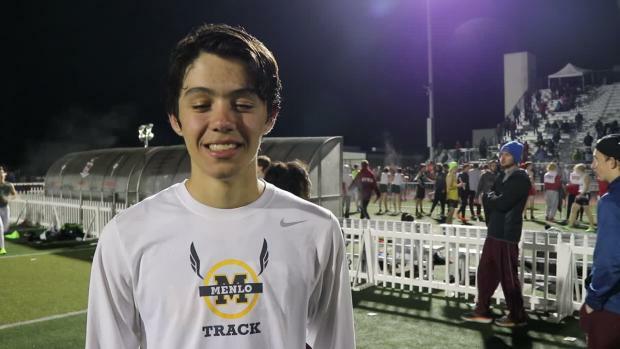 Catching up with Menlo senior Robert Miranda, who was a leader in the boys 3200m for much of the race before finishing sixth (9:15.34). 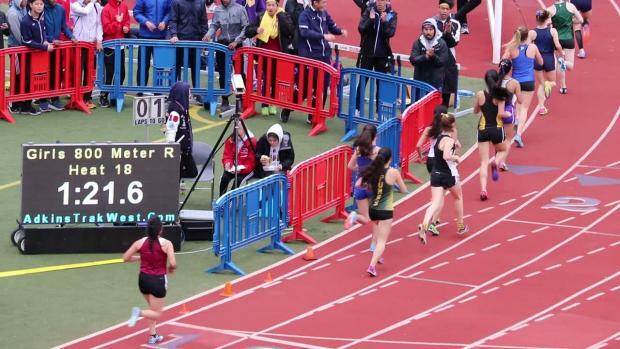 Miranda, bound for Yale, had competed last weekend in New York at the New Balance National Indoor at The Armory. 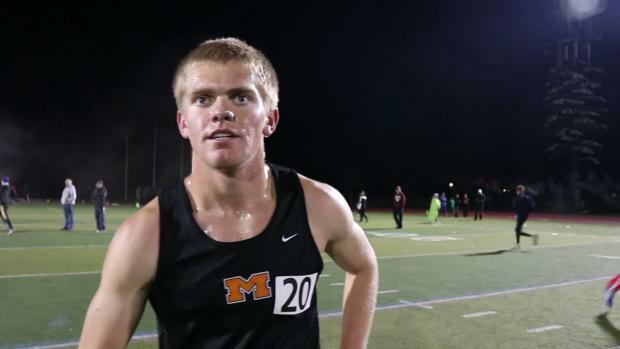 He talks about his race in the 3200, his experience in NY and the developing friendship among the some of the top distance runners.